Dr. Ashok Pai is oncologist in Oakland, California. He got his medical degree from University of California, San Diego School of Medicine. The fellowship was done in hematology and oncology, at University of California Davis. Dr. Pai chooses for residency in internal medicine the hospital Santa Clara Valley Medical Center. 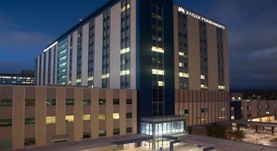 He is now affiliated with Kaiser Permanente Oakland Medical Center and University of California, Davis Medical Center. American Board of Internal Medicine certified Dr. Pai in medical oncology and internal medicine. Dr. Ashok Pai has contributed to 3 publications. Evolving epidemiologic trends in nonclear cell renal cell cancer: an analysis of the california cancer registry. Pai, A.,Brunson, A.,Brown, M.,Pan, C. X.,Lara, P. N.; Urology. 2013 Oct.
Richter\'s Syndrome With Aberrant CD2 and CD4 Expression. Barnhard, S., Pai, A., Chew, H. K., Song, J. Y.; J Clin Oncol. 2012 Sep 10. Chronic asymptomatic hepatitis B presenting with metastatic hepatocellular carcinoma. Pai, A.,Lin, A.; J. Clin. Oncol.. 2008 Sep 02.